Not your typical "tourista" website. 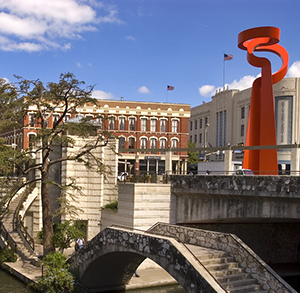 Come explore San Antonio's eclectic mix of local culture. Use our interactive and printable San Antonio maps and events calendar listing area restaurants, lodging, attractions, entertainment, where to shop, feature articles, day trips and other resources helping you plan your trip for a day or extended stay. Sign up for our mailing list to stay informed on such things as where the locals go activities, exclusive offers, contests, monthly gift certificate drawings and "Mapons" along with other special features to assist you with learning more about the many ways of everyday life in San Antonio. Whether you are a local, new resident or visiting our historically unique, multicultural, and ever so friendly, South Texas City, you will find here a unique guide to the vast amenities San Antonio has to offer and what truly makes it a Crossroads of Cultures – 'Where we discover our commonalities and celebrate our differences'. Our goal is to provide mapping resources to navigate your way mixed with unusual, compelling eclectic kinds of content showcasing our ethnically diverse community that makes San Antonio what it is, basically, E Pluribus Unum, or "out of many, one" – a de facto motto of the United States until 1956. Please check back often to see the latest updates while providing your input on what you would like to see here. Got any content or blog ideas, event info, tips, trips, celebrations, transformations, boastings, roastings, updates, bad dates, good dates, memories, local legends, exciting news, photos, videos or undoubtedly and deliberately blasphemous hearsay? 😉 Then do feel free to share your input. You can sign up for our mailing list to keep informed on such things as monthly events, exclusive offers, contests, gift certificates drawings and "Mapons" along with other special features to assist with planning your day, or your stay, and certainly learning more about the many ways of everyday life in San Antonio.